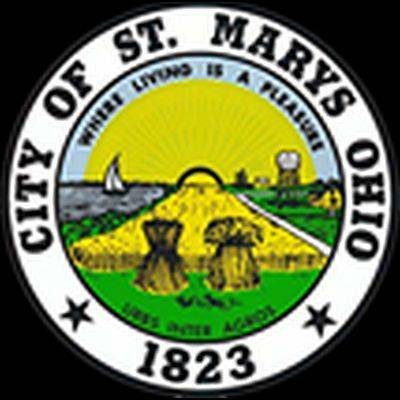 ST. MARYS — One person was injured and residences and a vehicle were damaged by flying debris Sunday at approximately 6:24 p.m. when an explosion was set off at the 300 block of South Pear Street in St. Marys. The individual injured by the explosion only received very light injuries that didn’t need to be treated, said St. Marys Police Chief Jacob Sutton. “Obviously, it’s concerning to us because that person was over 200 feet away from the blast, that some of the debris struck that person causing some harm,” he said. After arriving on scene, St. Marys police officers discovered a suspected detonation spot located behind an abandoned residence in the 200 block of South Pear Street. The explosion was strong enough to throw shrapnel over 200 feet from the detonation site, break out a vehicle window and through debris through the screen and glass window of a residence, Sutton said. The Bureau of Alcohol, Tobacco and Firearms had been called in to lend their expertise to discovering what caused the explosion. The incident is under investigation. Witnesses reported seeing two or three males walking away from the scene of the explosion afterward. The St. Marys Police Department is being assisted with the investigation by the ATF, St. Marys Fire Department and the Auglaize County Sheriff’s Office. The police department is offering a reward for any information leading to a successful prosecution. Call 419-394-2325 with any information.